The mural is located behind the staircase in the lobby of the building. It is divided into three panels by columns painted into the mural. 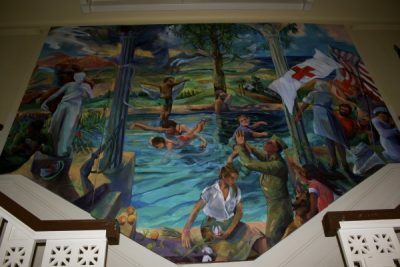 The theme of the mural is the glory of the Red Cross in disasters and wars.